Last Minute Christmas & New Year Holidays! The 5 star Penina Golf Resort in the Algarve offers a wonderful setting for a truly memorable Christmas/New Year golf holiday in the winter sunshine! 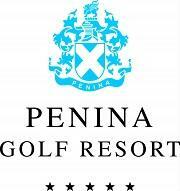 Penina - Free Unlimited Golf! 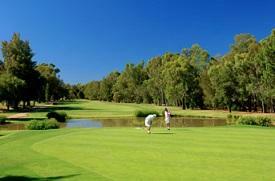 The 5 star Penina Golf Resort is one of our most popular winter sun destinations - for good reason! However, we have some late availability for Christmas & New Year breaks at Penina for Dec '16/Jan '17, so why not book a last minute flight and share in the seasonal golfing cheer at this true "Grand Dame" of Golf Resorts?! With unlimited golf over the 3 on-site courses available to all Golf de la Luz clients you will surely benefit from keeping your game in good shape over the winter season! Special Christmas and New Year dining options are available throughout the resort's excellent restaurants, with seasonal specialities on offer on Christmas Eve, Christmas Day, Boxing Day and of course New Years Eve! Plus for each 7 night booking you also receive 2 evening meals free of charge (not for use on 24th, 25th or 31st December). In addition we have group discounts available for all bookings of 8 or more guests, so even with the weaker Pound there are still great value prices to be found here at the Penina Golf Resort. Early Booking Discounts are also available for all bookings confirmed at least 60 days in advance of travel, so combined with the free golf and free evening meal offers the value for money and high quality here at Penina Golf Resort is unbeatable - in our opinion!